The aim of this study was to evaluate the influence of spray drying conditions on Morinda Citrifolia (Mengkudu) micro particles using potato starch (2wt%) as the encapsulation or coating agent by different ratios, Mcore/Mwall (1:1, 1:2 and 1:4) at different inlet temperatures (90, 100, 110, 120, 130 and 140°C). Evaluation on the spray dried Mengkudu powders was done using DPPH radical, total phenolic and particle size analysis. From the results, it is clear that the DPPH radical scavenging activity and total phenolic content was slightly higher at 120°C for ratio 1:1. The results indicate that the mean size of micro particles obtained was in the range of 1-25µm. Keywords: morinda citrifolia, spray drying, antioxidant activity, potato starch. Antioxidants are the chemicals that neutralize reactive oxygen species. These are the secondary metabolites of phytochemicals and are preferred over synthetic antioxidants which are found to impose side effects. Antioxidants reduce the oxidative stress in cells and are therefore useful in the treatment of many human diseases, including cancer, cardiovascular diseases and inflammatory diseases1-7 and health problems.8 According to World Health Organization,9 “traditional medicine” is the sum total of knowledge, skills and practices based on the theories, beliefs and experiences indigenous to different cultures that are used to maintain health, as well as to prevent, diagnose, improve or treat physical and mental illnesses. This study is focused on the MorindaCitrifolia because it is known as one of the best traditional medicine throughout the nations. MorindaCitrifolia is native to Southeast Asia, it is widely adapted throughout the tropics. The Morindacitrifolia trees are typically 3-6 m (10-20 ft) tall when it is mature. Morindacitrifolia is a small tree with avate glossy leaves 15-20 cm long. The fruit technically known as a syncarp is yellowish white, fleshy, soft and pungent smell when ripe. Known as mengkudu in Malaysia, Morindacitrifolia is commercially known as “Noni”, is also called “Indian Mulberry”, “awl tree”, “Ba Ji Tian”,” Nono” or “Nonu”, “Cheese Fruit”, and “Nhau” belong to the Rubiaceae family, MorindaCitrifolia is one of the most significant sources of traditional medicines among Pacific island societies. All parts of the plants, which include fruits, leaves, bark and roots have been shown to contain active compounds that have high medicinal values. Research has revealed the potential of Mengkudu as a source of various antioxidants in roots, fruits and leaves. It is used in traditional and/or modern application, including root and bark (dyes, medicine), trunks (firewood, tools), and leaves and fruits (food, medicine) although most of these have yet to be scientifically supported. Fruit, leave and root are useful in cardiovascular diseases particularly hypertension, atherosclerosis and dyslipidemia10 while seed may have a role as a useful ingredient in cosmetics for skin-whitening and/or wrinkle prevention.11 In order to meet the demand of the market throughout the year in all areas, MorindaCitrifolia is perishable and cannot be marketed as fresh products. One of the common techniques to handle this problem is microencapsulation process by using drying method i.e. spray drying, spray-chilling, air suspension coating, extrusion, centrifugal extrusion, freeze-drying, coacervation, rotational suspension separation, co-crystallization, liposome entrapment, interfacial polymerization, molecular inclusion. Microencapsulation is the technique by which the sensitive ingredients are packed within a coating or wall material. The wall material protects the sensitive ingredient (or core) against undesirable reaction, avoids the loss of volatile ingredient, controls release of the ingredient, enhance the productivity, to increase shelf life of food, and control moisture content so that the food becomes stable to both microbial and chemical deterioration. Additives or coating agents are the non-active ingredients, essential in the successful production of acceptable solid dosage forms such as tablets and powders. The type of starch utilized depends on the physical and chemical characteristics of the starch, the amount used, the type of dryer used and the end use of the product. In the process of spray drying, drying aid is normally added as coating material. Effectiveness of coating material should contains functional properties, including good emulsification, film forming, high solubility, low viscosity at high concentrations and low cost properties. The coating material can be derived from any starch source such as cereal grains, i.e., corn, waxy corn, wheat, sorghum, rice; tubers or roots of such plants as cassava (tapioca), potato or arrowroot and the pith from the sago palm). The aim of this study is the evaluation on the effect of potato starch on the antioxidant properties of MorindaCitrifolia spray dried micro particles. The MorindaCitrifolia fruits are obtained at ripe stage as shown in (Figure 1). The fruits were washed with distilled water. The fruits were separated into pulp and seed. Then they were sun dried for 2 days then oven-dried at 60°C for 1 day to remove all moisture content and subsequently ground into finely powdered by using mixer. The powder is kept for storage at 40°C. Pulverized sample of 20g was added with 200 ml of ethyl acetate inside a 250 ml conical flask and left in shaking incubator for 3 days at the temperature of 370°C. The solution was filtered using Whatman filter paper and the filtrate portion was kept at 40°C for further analysis. The drying was carried out in a spray dryer model SD-05 (Lab-plant, UK), with con-current flow regime. The drying chamber has diameter of 215 mm and height of 500 mm. The main components of the system were the feed system of the mengkudu extract, comprised of a peristaltic pump, a two fluid atomizer (inlet orifice diameter of 0.5 mm) and an air compressor; a feed system of the drying gas, comprised of a blower and a air filter; a temperature control system of the drying gas and a product collect system (cyclone) with diameter 0.085 m. The pump speed was set to fairly slow rate, between 15 to 30 ml/h and the compressor air pressure of 1.2 bars. After spray drying, the powders were collected through a high efficiency cyclone in a glass container, transferred in to a glass vial and stored in the desiccators at ambient temperature. The spray drier was operated at six different temperatures between 90 to 140°C, the yield of mengukudu powder was 6%. Figure 1 Ripe Mengkudu fruits. Where, DPPH is the radical scavenging activity of antioxidant, Abs control is the absorbance of DPPH solution without extract and abs sample is the absorbance of DPPH with sample taken after 60 min. Total Phenolic Content (TPC) was determined according to the Folin Ciocalteau (FC) method. Sample in methanol solution was prepared by dissolving 10 mg of spray dried powder in 30 ml of methanol and centrifuge for 10 min using Sartorius Sigma 3-18 K Centrifudge. The supernatant of sample extract (0.5 mL) was added to 1.8 m of FC reagents (1:9) and allowed to react for 5 min. Later 1.2 mL of 7.5 g L-1 of sodium carbonate was added to the reaction mixture. Finally, the reaction mixture was incubated for 2 h at room temperature and absorbance was measured at 765 nm using 4802 UV-VIS double beam spectrophotometer. Methanol was used as reference. Gallic acid (0-1.0 mg L-1) was used to produce standard calibration curve. The total phenolic content was expressed in mg of Gallic acid equivalents (GAE/g of spray dried powder). A 4802 UV-VIS double beam spectrophotometer is used to measure the total phenolic content of Mengkudu powder in the form of mixture/solution. In order to read the absorbance, the wavelength was set at 765nm. To measure the absorbance, firstly distilled water is measured as blank, which is taken as zero absorbance. Each of the diluted extraction samples is measured within a glass cuvette and the absorbance is measured in triplicate to ensure precision. The average readings are thus taken as the absorbance value. The microcapsule was observed by a microscope with image analyzer (MIA). To get a mean size and size distribution, individual microcapsules were selected randomly and accurate measurements were taken for statistics analysis. In this study, ratio Mcore/Mwall is defined as the volume of ratio of Mengkudu extract against wall material (2% potato starch). (Figure 2) shows a similar trend was obtained at these three ratios Mcore/Mwall. At temperature of 90°C, the inhibition percentage is high and then it will decreased at temperature of 100°C and at 110°C it will increased until temperature of 120°C, and lastly it will fall until the temperature reach 140°C. Among all temperature the highest antioxidant activity was measured at 120°C and 90°C followed by 130°C and 140°C respectively. To compare among Mcore/Mwall ratio, the percentage of DPPH inhibition is significantly higher at ratio 1:1 followed by 1:2 and 1:4 respectively. 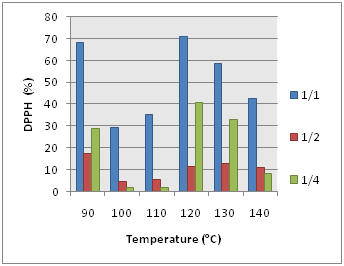 Drying at higher temperature leads to degradation of antioxidative compounds and also possibility of losses of volatile substance.16 However, as mentioned by Krishnaiah et al.12 the temperature effect on the relative antioxidant of the extracted sample may be related to differences in stability or to differences in antioxidant potencies at various temperatures. Figure 2 DPPH (%) vs. Temperature (oC) at Different Ratios. The contents of total phenolic compounds in Mengkudu powder is shown in (Table 1). As shown in (Figure 3), the ratio of Mcore/Mwall 1:1 exhibits the highest total phenolic content compared to 1:2 and 1:4. The ratio of Mcore/Mwall at 120°C is the highest total phenolic content at 54.575 mg GAE/100 g extract. TPC shows the lowest content when dried at higher temperature. At this condition, there are possible losses or degradation of certain types of phenolic compounds.17 As the temperature increases, the value for total phenolic content also decreases, may due to some components which are ready to get volatilized may attach to the binding material. 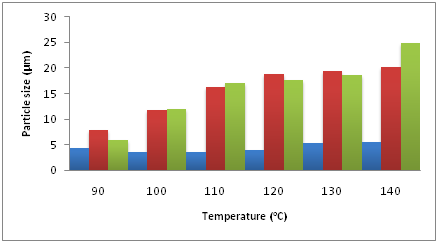 Figure 3 TPC at different ratio with different temperatures. 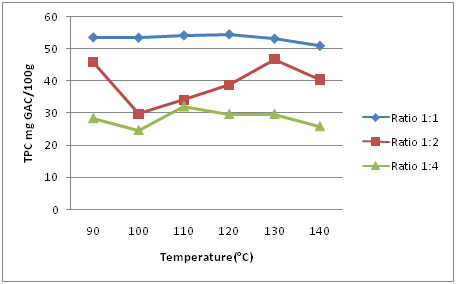 Table 1 shows the mean diameter at different temperatures and ratio of microparticles. The increase on inlet air temperature results in larger particle size. Higher temperature results in faster drying rates due to the swelling of droplets produces larger particles than drying under lower temperature in which slower drying rate could be found. This is due to the fact that when inlet temperature is high, very fast drying sets up a structure early and does not permit the particles to shrink during drying. When inlet air temperature is low, the particle remains more shrunk and thus, results in smaller diameter. Higher starch concentration also leads to the production of larger particles. This correlation maybe due to the feed viscosity used, which increased with wall concentration. Similar results obtained by Krishnaiah et al. (2009), in the production of Mengkudu powder arrange of temperature between110 to 150 degree Celsius. This result also similar to the result obtained by Souza et al.18 Figure 4 shows that the mean particle size decreases with increasing core/wall ratio from 1:1 to 1:4. Similar results were obtained Krishnaiah.12 Increasing Mcore/Mwall ratio means that the concentration of the potato starch is higher thus obtaining higher feed viscosity. Therefore, it leads to the larger the droplets formation during atomization and thus the larger the particles are obtained during spray drying. Figure 4 Mean particle diameter (µm) vs. Temperature (oC). The work presented in this paper can be concluded that potato starch can be used as encapsulation in the Mengkudu micro particles. Different ratio were used to prepare the fine particles and showed a significant effect on all the responses studied. For the extracts containing volatile components the major issue affecting the antioxidant content is drying temperature, as well as in sample handling and storage. Drying at higher temperature has decreased the antioxidant contents of extract. Krishnaiah D, Sarbatly R, Bono A. Phytochemical antioxidants for health and medicine - A move towards nature. Biotechnology and Molecular Biology Reviews. 2007;1(4):97–104. Krishnaiah D, Sarbatly R, Nithyanandam R. Microencapsulation of Morindacitrifolia L. extract by spray-drying. Chemical Engineering Research and Design. 2012;90(5):622–632. Aruoma, OI. Free radicals, oxidative stress and antioxidants in human health and disease. Journal of American Oil Chemist’s society. 1998;75(2):199–212. Lefer DJ, Granger DN. Oxidative stress and cardiac disease. Am J Med. 2000;109(4):315–323. Smith MA, Rottkamp CA, Nunomura A, et al. Oxidative stress in Alzheimer’s disease. Biochim Biophys Acta. 2000;1502(1):139–144. Bhatia S, Shukla R, Venkata Madhu S, et al. Antioxidant status, lipid peroxidation and NO end products in patients of type 2 diabetes mellitus with nephropathy. Clin Biochem. 2003;36(7):557–562. Peuchant E, Brun JL, Rigalleau V, et al. Oxidative and antioxidative status in pregnant women with either gestational or type 1 diabetes. Clin Biochem. 2004;37(4):293–298. Steer P, Millgard J, Sarabi DM, et al. Cardiac and vascular structure and function are related to lipid peroxidation and metabolism. Lipids. 2002;37(3):231–236. World health Organization. Congress on Traditional Medicine. Switzerland: WHO; 2008. p. 7–9. Mandukhail SU, Aziz N, Gilani AH. 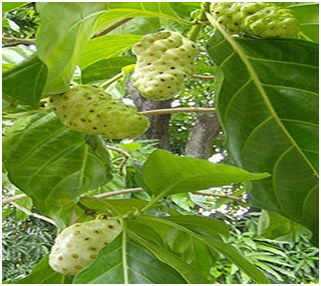 Studies on antidyslipidemic effects of Morindacitrifolia (Noni) fruit, leaves and root extracts. Lipids Health Dis. 2010;9:88. Masuda M, Murata K, Fukuhama A, et al. Inhibitory effects of constituents of Morindacitrifolia seeds on elastase and tyrosinase. J Nat Med. 2009;63(3):267–273. Krishnaiah D, Sarbatly R, AMM Hafiz, et al. Study on retention of bioactive components of morindacitrifolia L. Using spray drying. Journal of Applied Sciences. 2009;9(17):3092–3097. Krishnaiah D, Sarbatly R, SRM Rao, et al. Optimal operating conditions of spray dried noni fruit extract using K-carrageenan as adjuvant. Journal of Applied Sciences. 2009;9(17):3062–3067. Krishnaiah D, Sarbatly R, Nithyanandam R. A review on the antioxidant potential of medicinal plant species. Food and Bio Products Processing. 2011;89(3):217–233. Krishnaiah D, Nithyanandam R, Sarbatly R. A critical review on the spray drying of fruit extract: Effect of additives on physicochemical properties. Crit Rev Food Sci Nutr. 2014;54(4):449–473. Georgetti SR, Casagrande R, Souza CRF, et al. Spray drying of the soybean extract: Effects on chemical properties and antioxidant activity. LWT Food Science and Technology. 20008;41(8):1521–1527. Amin IY, Norazaidah KI, Hainida E. Antioxidant activity and phenolic content of raw and blanched Amaranthus species. Food Chemistry. 2006;94(1):47–52. Souza AS, Borges SV, Magalhaes NF, et al. Influence of spray drying conditions on the physical properties of dried pulp tomato. Ciênc Tecnol Aliment Campinas. 2009;29(2):291–294. ©2015 Krishnaiah et al. This is an open access article distributed under the terms of the Creative Commons Attribution License , which permits unrestricted use, distribution, and build upon your work non-commercially.